I just wrote about Secret Window where the leading character completely breaks down when he finds out that his wife is cheating on him. On the contrary, Tony Wendice (Ray Milland) is a calculated man. Wendice decides to take it slow. He takes his time, gathering evidence against his wife Margot (Grace Kelly) and her lover, an American writer, Mark Halliday (Robert Cummings). Very carefully he chooses the person best fit for the job and everything is absolutely well planned. But there is no such thing as a perfect murder. When things go wrong, he improvises an excellent plan B. It appears as if this was the most obvious Hitchcock cameo. Or at least one of it. To be very frank, what separates the film from any other film by the master of suspense is that the film is more talky than any other. There is no mystery in terms of what is happening. We know who the murderer is. And yet there is more to discover. Yet there is a mystery. That may be the reason why it is ranked 9th on the American Film Institute’s list of the 10 greatest Mystery films in June 2008. This fact brings me to the point of view character in the film. A point of view character may not be the protagonist of the film. Remember Citizen Kane? The reporter is the main point of view character discovering the story of Charles Foster Kane through many other sources. But he is not the protagonist. 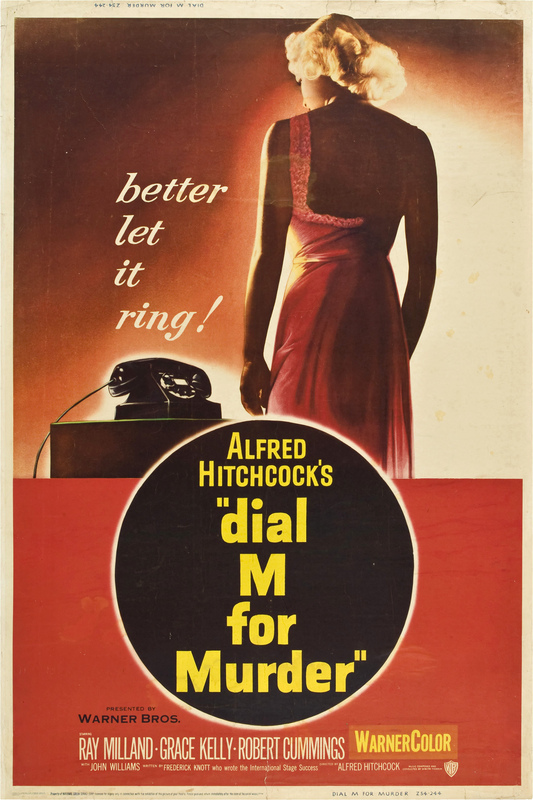 In Dial M For Murder, we stick with the protagonist right from the second scene in the film. And stay with him right till the end. There is just one scene where we know more than the character and that is the time when the mystery is revealed. The film is adapted from a play. And there is not much that changed in terms of the treatment. Most of the film takes place at one place. That too in one room. It was pretty evident that even the outdoor shots were shot using a chroma. Maybe that is why the film could be finished in 36 days. I feel the fact that the film takes place at just one location is the best part of the film. At no point, I felt bored of looking at the same frames again and again. And of course the performance by Ray Milland is exceptional. It is one of those films where you genuinely feel the bad guy should get away with all the money with an evil grin on his face. All thanks to this wonderful actor!